The Department of Biochemistry faculty is doing compelling, innovative work. Their instruction, mentorship and successes are integral to turning students’ curiosity into fruitful results. We boast 24 highly accomplished full-time faculty and 3 affiliated faculty members in both education and research as evidenced by local, national, and international awards for excellence. This includes recognition by the North American Colleges and Teachers of Agriculture, with Certificates of Recognition for Contributions to Students, University-wide Outstanding Research and Creative Activity Awards, awards by the Sigma Xi for Excellence in Research, Fellows of the American Association for the Advancement of Science, Fellow of the American Society for Plant Physiology, Fellow of the National Academy of Inventors, Education Fellow of the American Association for Biochemistry and Molecular Biology and a Jefferson Science Fellow. 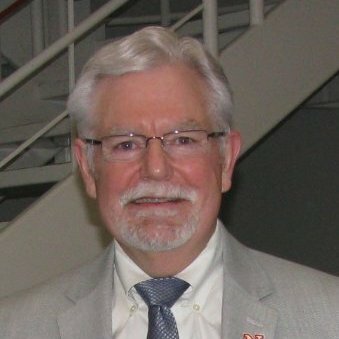 Dr. Paul N. Black is the Chair of the Department of Biochemistry and Director of the Center for Biological Chemistry at the University of Nebraska-Lincoln, as well as the Charles Bessey Professor of Biological Chemistry. He has led the department since 2008. His research primarily focuses on the components and mechanisms governing exogenous fatty acid transport across a biological membrane and how this process is linked to acyl chain flux and lipid remodeling. 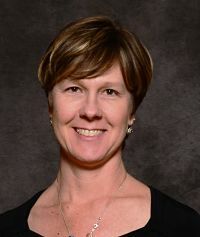 Dr. Erin Sayer is an Assistant Professor of Practice and the Academic Advisor and Recruiter for Biochemistry working with Arts and Sciences students and a subset of our Agricultural Sciences and Natural Resources students. Dr. Sayer has been at the university since 2002. She spent over a decade as the Coordinator for Pre-Professional Advising and most recently was in the School of Biological Sciences before she joined Biochemistry.